Wash and chop the ivy gourd into small pieces and set aside. Peel and chop the onions into small pieces and keep them aside. Heat two teaspoons of oil in a pan. Add and fry the onions till they get light golden color. Now add the red chillies and let them fry for a few seconds. Switch off the flame and allow it to cool. Grind the fried onions and chillies into a coarse paste and set aside. 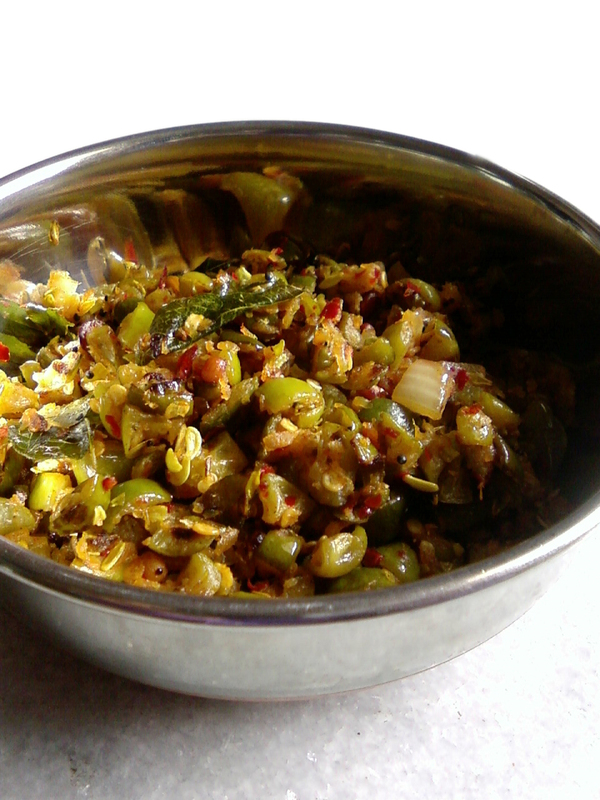 Heat remaining oil in a frying pan and add the mustard seeds, chana dal, urad dal and let them splutter. When the seeds stop popping, add the curry leaves and fry for a few seconds. Then add the chopped ivy gourd, salt and turmeric to it. Mix well, cover with a lid. Let it cook completely. When it’s done, add the ground onion and fry for a few minutes. Switch off the flame and serve with rice or roti. sabzi looks so yummy and tempting. I liked the way u have prepared. Nice & tasty tindora curry..
Curry looks super delicious and tempting..
Looks yummy I make tindora stirfry occasionally add onion. I can have Tindoora on any given day. Looks yumm. wonderful and looks so delicious !! I love tindora – and i think it pairs really well with the fried onion in this curry. Wonderful and delicious tindora curry. Perfect with chapati. Nice recipe…looks tempting and yummy. I love it with rasam rice very much! Nice recipe!